Every industry and workplace has set certain norms that employees should maintain. These norms are related to their health and safety. But, the security issue of construction workers is always a talking point. It is not that they are working at height and for which they have many health complications. Recent data has shown that the suicide rate in the construction works is higher than that of any other fields. So, along with the safety measure, company owners must think about the initiatives that improve their mental health and stop them from taking such a drastic step. MedHouseCall is a healthcare organization that offers in-home healthcare services in Ontario, Canada. Companies who are running a construction business must include safety and metal-wellbeing factors for their employees. You can also take help from different health organizations if you want to start a program to motivate your employees and workers. Concentrate on building a positive working environment so that everyone shares their problems and finds a solution through a friendly conversation. Our team of doctors is raising general health awareness among people and they came to know that employees working in the constructions field are suffering from many mental issues. It has already proved that the primary reason for death in construction work is suicide not falls. Many organizations have already taken some initiatives for the health and well-being of the construction workers. Though some problems can be identified, many issues are still there that need a complete analysis. While organizations are offering mental well-being support to the constructions, they need to take care of some safety measures also. Every employee must know where the first aid kit is so that when an accident occurs, the initial treatment can be started without waiting for anything. 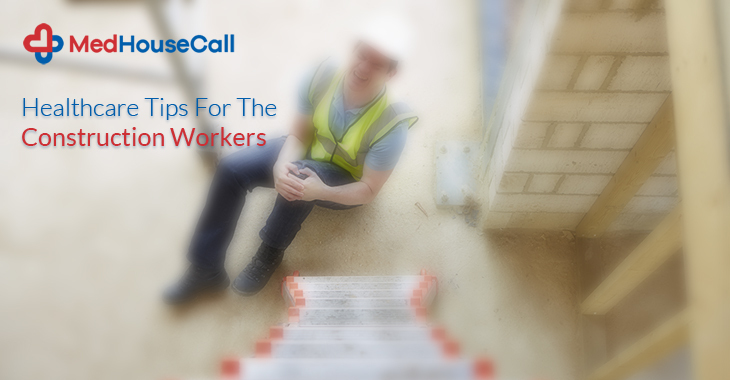 Make sure that first aid kit is easily accessible by workers. Equipment failure is another common cause of injuries of the construction workers. To protect your workers from this problem, you need to be sure that equipment is running perfectly. This helps you avoid many dangerous situations. Offer proper safety gear to workers and you need to check that they are wearing them for performing their tasks. Take every necessary step that helps you skip accidents and any dangerous situations. MedHouseCall is working for people and brings the healthcare industry easily accessible to patients. It is one of the few health organizations that bring medical care to your home. We are offering on-demand doctor house call service to the people in Ontario, Canada. For any health-related help, please contact us. We commonly ignore our dental health. But, our teeth suddenly seem valuable when we start losing them. Isn’t it true? There are so many misconceptions with your teeth. 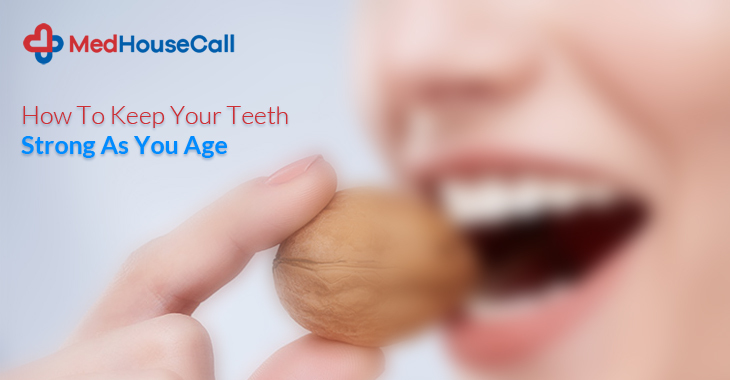 People believe that your teeth decay with your age. But that is not true. Your teeth can stay a lifetime if you maintain them regularly. MedHouseCall has decided to talk about dental health. Complications are many, but we didn’t pay the right attention our teeth needed. Here, we talk about some essential details and easy tips that help you protect your teeth from decay. We are a healthcare organization offering in-home healthcare to patients. With us, patients can book housecall doctors for their treatment in their home. Before your teeth show you the sign of decay, follow a few tips that take care of their health. MedHouseCall has a team of experienced doctors specialized in different fields. Here are a few tips that take care of your teeth. Sweet and starchy foods are not good for your teeth. So, make sure that you consume them less. Sugar produces acid and damages your teeth. Starchy foods stick to your teeth and it causes plaque. Cut down sweet and carbohydrate intake. Brush your teeth twice a day and floss them once a day. Brushing and flossing help you keep your teeth away from plaque and damages. Dentists can identify potential damage to your teeth. So, you need to visit your dentist frequently to identify the damage at its earliest stage. Your dentist also cleans your teeth, especially those areas that are hard to reach. Smoking can damage your teeth and produce different dental issues. If you want to have happier teeth, you must quit smoking. Improve your oral and keep your teeth strong. If you have dental works done on your teeth in the past, including filling and crowning, you need to maintain the work carefully so that it lasts in your old age. A well-balanced diet rich improves your dental health. Include fermented foods that fight against oral bacteria. Cheese, butter, and cultured yogurt are good for your health. Dental health like physical and mental health is also important to be taken care of. Otherwise, your teeth start decaying fast. MedHouseCall can help you get relief from painful dental issues. Book your appointment with us and our housecall doctors will visit your place for the treatment. We are offering a convenient solution where you can avail in-home healthcare service.